Ralph Henry Willis Stone was born on 30 November 1878 at Stanmore, son of Ralph Stone and Mary Louise nee Allerton. In 1910 he married Florence May Griffith at Sydney. He died at Neutral Bay on 15 February 1960, aged 81 years. Florence Stone died in 1960, aged 85 years. Stone operated as a house and land agent at Ross Street, Forest Lodge. In 1905 he told the select committee on the Landlord and Tenant (Amendment) Bill that the value of Glebe property ‘has gone back considerably’ in the last 10 years. Cottages were sought after by tenants but ‘terrace houses were very hard to let’. The Glebe Municipal Reform Association ran 12 independent candidates in the 1928 elections, indicating if successful they would call for an inquiry into the administration of Glebe Council. None of their candidates were elected. Ralph Stone was president of the Association. In 1930 the Association presented a ratepayers petition objecting to Glebe Council’s proposal to borrow 25,000 pounds for works; two years later the Municipal Reform Association was stridently opposed to a garbage destructor being bult in Jubilee Park. Again in 1932 they fielded 12 candidates at the municipal election without success. In a deputation to the Minister for Local Government in 1938 the Association sought appointment of an adminstrator, and an inquiry into Glebe Council. The request became reality in May 1939. First elected to Glebe Council in January 1911, Ralph Stone remained an alderman to the end of 1919. 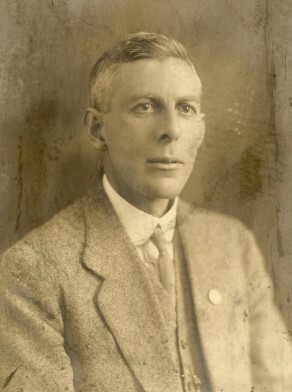 Mayor during the war, in 1916 and 1917, when Glebe spawned an Anti-German League, he was involved in emotive issues raised in a time of trial and tragedy. He welcomed home soldiers in September 1916. And the following month chaired a pro-conscription meeting at Glebe Town Hall with premier Holman on the platform.